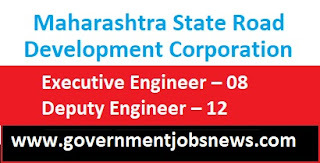 Maharashtra State Road Development Corporation MSRDC Recruitment for the 20 posts of Executive Engineer, Deputy Engineer. 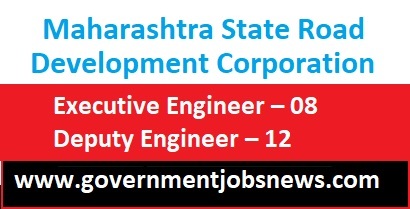 Interested candidate can apply for these Engineer Government Jobs online by filling up an online application on the official website. All details are given below in this post. Eligible candidates shall submit an online application by visiting www.msrdc.org/ and follow the instructions on how to apply online for MSRDC Recruitment 2018 carefully before you start filling Online Form.